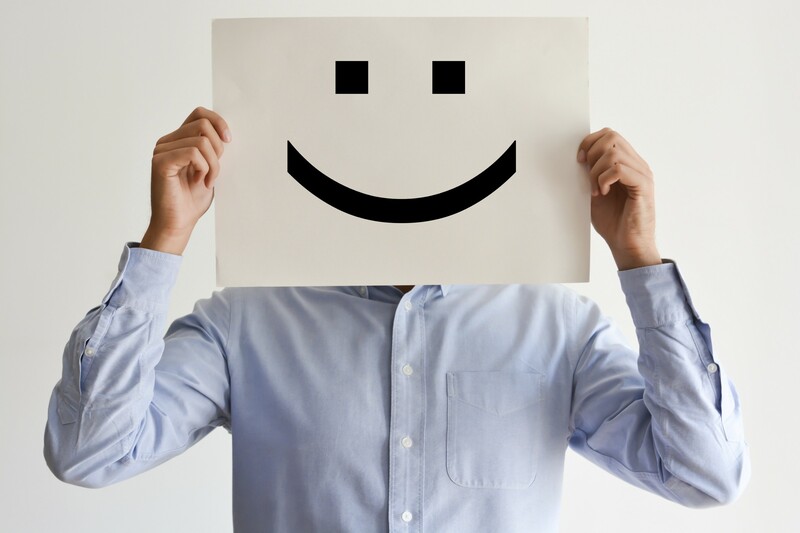 Customer experience deals with the holistic experience a brand provides its customers as they engage with their products & services with the goal of keeping customer’s happiness and needs in mind. Customer experience plays a pivotal role more than ever now. One bad experience and customers can be easily put off, and they would never return.Therefore, Brands should focus on rendering extraordinary customer experiences to be able to achieve more loyal customers. At the moment, brands are often only focussing on individual touch points when it comes to customer experience but fail to envision the holistic view creating multiple gaps when a potential customer (one who can be converted) engages with their product or service. Due to these gaps, brands are often unable to create that impact and struggle to maintain an equilibrium between customer needs and fulfilment. Brands are not investing enough to identify and address key touch points of customers due to which a lot of requirements are left unmet. Customers, don’t give a second chance, they immediately hop onto the next stop when they don’t get what they are looking for the first time. End of the day, customers primary goal is to achieve what they set out for without much effort. Technology has been around for quite sometime now and the people are already well versed with it. Brands can tap this opportunity to their benefit by integrating these resources into their blueprint and design a holistic model oriented to their customers keeping them first. However, at present brands fail to harness the physical and digital medium at their disposal. The physical medium being the physical space and the digital being an array of digital applications. Brick and mortar brands often give more emphasis to the physical space, leaving out the digital medium in complete isolation or the vice-versa. The physical and digital need to work in unison. This is where design plays a key role in identifying key touch points of a customer’s journey as they engage with a product or service, addressing their requirements at each stage and fulfilling them there by establishing a seamless customer experience. What is the Indian Scenario? India is progressing at a rapid rate and technology has not seen a better time. But, while only a handful of brands have been able to successfully provide a holistic customer experience, others are still in the brick and mortar stage and yet to transform. I had the chance of experiencing one of the former category of brands while I was buying a new pair of spectacles for myself. 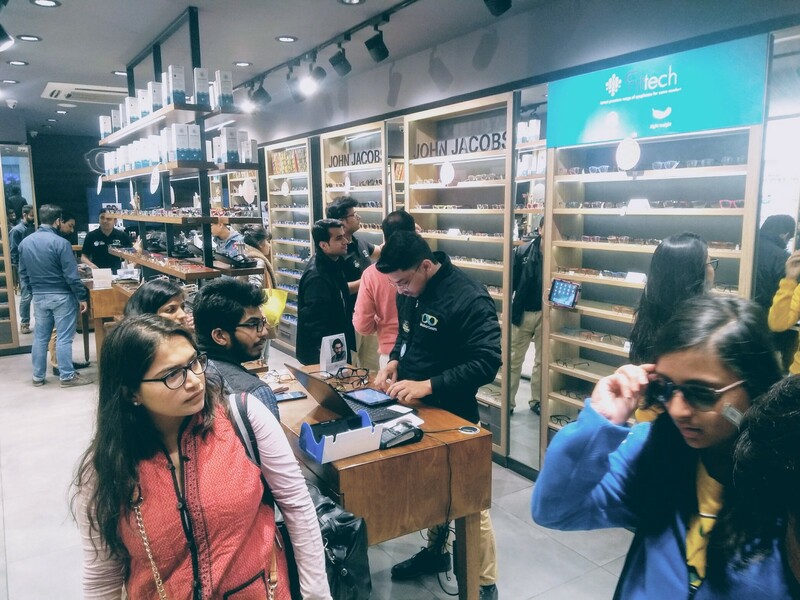 Lenskart, one of the only brands who went the opposite way of going from a digital medium to a brick and mortar by establishing their physical presence after their online website. They have managed to formulate a holistic customer experience, but little gaps are still to be addressed. I have categorised the entire experience into stages. These are stages that exist at a visceral level working in unison with each other. Right from the moment I entered I saw a wide variety of spectacles stacked neatly as per different categories. I scanned around to find something of my preference. While trying out a few and not being satisfied with the one in hand as a true libran (very indecisive), I asked the sales team if they had any other frame colours or frame shapes. The sales team responded and what was interesting to see was that there was a tablet right next to the shelf, from where the sales person could access their inventory and check their stock. What I liked was not only could they respond to my query with a simple ‘YES’ or ‘NO’, but they could also show me what other colours or shapes they have using the tablet. This situation would other wise entail the sales team to go back to their stock room to recheck their product stocks, only to come out saying they do not have it in-turn sending their customer unsatisfied. Moving on I finally selected the color and style of the spectacles I liked on the tablet. The next step was to get a free eye- checkup done which took about 10 mins using the auto refractor. This part of the experience did not fall in sync with the entire process. As I mentioned, these are gaps that still need to be covered. 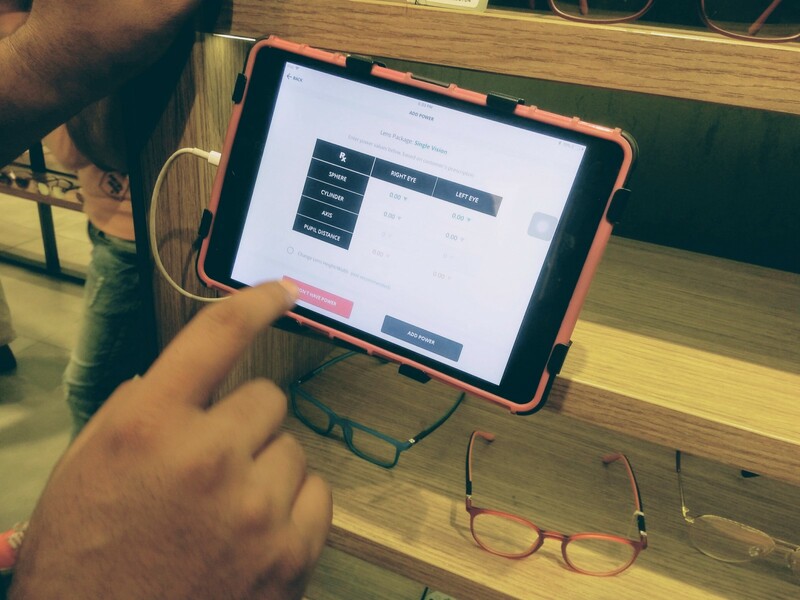 After the test, this is the interesting part, the sales team entered my test readings on the tab itself on the Lenskart application and further I was asked to enter my details on the same interface. This way the process felt fast, less cumbersome and complete transparency for the customers. My purchase details and delivery details were all immediately sent to my email (I got a notification on my phone- this means I automatically have a copy of the receipt and i don’t have to worry about losing it). I can always track my purchase through my mail. In addition I was also given a printed out copy. Times have changed. In-order to provide a great customer experience brands need to transform themselves. They need to provide an extraordinary experience to customers keeping a holistic approach in mind with the aim of getting higher numbers of loyal customers. With the advent of technology a plethora of resources are available and need to be effectively implemented. Customer experience need to be given utmost importance and design plays a major role in ensuring a definitive plan for creating a holistic experience. Each touch point on a customer’s journey needs to be addressed to be able to fulfill their requirements. We are a product design studio. We design both digital and physical products, specialising in strategy & branding, experience design (UX/UI) and industrial design.